Infertility is a common condition, and nearly one in every six couples seek medical help to combat infertility at some stage or the other in their reproductive lives. In many cases, the fertility linked issues can pertain to the male partner. One such fertility hampering condition is the fragmentation of the DNA molecules in the male sperm cells. 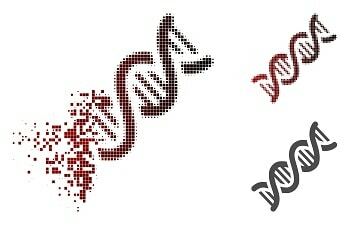 DNA fragmentation refers to the breaking down of DNA strands into separate entities. Men with sperm motility defects often have high levels of sperm DNA fragmentation, which in turn can have adverse effects on in-vitro fertilisation (IVF) and intracytoplasmic sperm injection (ICSI) procedures of fertility treatments. New research has suggested that the degree of DNA fragmentation in spermatozoa can be a predicting factor in determining male fertility. The degree to which the DNA is fragmented is measured with a main unit which is medically referred to as the DFI, which is the DNA fragmentation index. Spermatozoa that display high percentages of fragmentation in genetic material is more likely to produce healthy pregnancies, than those with lower fragmentation rates. Men whose DNA fragmentation is higher than 30% are less likely to facilitate healthy pregnancies, and those who are able to fertilise a woman’s egg are more likely to also facilitate miscarriages. Diagnostic tools for detecting the presence of male infertility, unfortunately, remain underdeveloped and quite backward when compared to diagnostic as well as remedial medical options for infertility in women. Factors that contribute to increase in the DFI are abstinence or infrequent ejaculations, the onset of old age, smoking, exposure to pollutants, trauma ti the testicles or testicular cancer and any extreme chemical or radiation exposure. However, since DFI is a relatively new concept being studied and developed, the actual value that the index is of when treating male infertility is undetermined.